Educate and assist your garden visitors with BG-Map Visitors QUICKFinder. Set up a touch screen kiosk in your visitors center, and you can offer a valuable and popular new service. Visitors QUICKFinder software is included as a standard feature of BG-Map at no additional cost. "This is fun... it’s nothing like our computer at home." "I did a quick and simple 5 minute VQF demo to the island's newly formed professional landscaping association last night. Lots of ohhs and ahhs and lightbulbs going off in the head - I think realizing that this is technology that even plant people can 'get', that it will actually make our collections more functionally accessible to them in a new way, and that their clients and their kids could relate to this..."
"This is fun" "Wait till Bob (husband) sees this, it’s nothing like our computer at home." "I may even learn something here." "This is a wonderful start! It has been sorely needed for a long time and will serve both visitors and garden staff well." "I LOVED THIS SYSTEM!" "...(speaking as a professional librarian) you've developed a wonderful information system! Kudos!" "The glossary is nice - very simple and easy to understand" "Keep up the good work - great to see membership $ at work!" Visitors can search for plants or search for memorial trees and benches. And, they can enter their feedback including comments, membership interest, and volunteer interest. Visitors QUICKFinder provides general information about your garden including upcoming events and current exhibits. Topic pages can include images, links to maps, and even videos. They can be viewed, printed, or e-mailed. 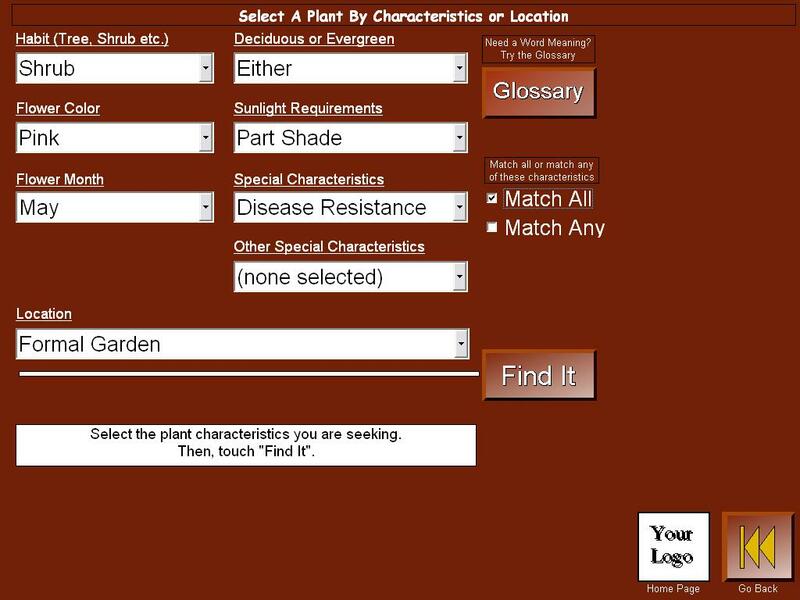 You can assemble lists of plants of special interest to your visitors. You can define any number of these "Special Collections", highlighting plants of seasonal interest, special landscape value, easy maintenance, etc. Visitors can search for plants by common name, botanical name, species, or cultivar. Visitors QUICKFinder will guide them along with popup selection lists. The display is appealing and easy to understand. You can control the title font and select from several available color schemes. 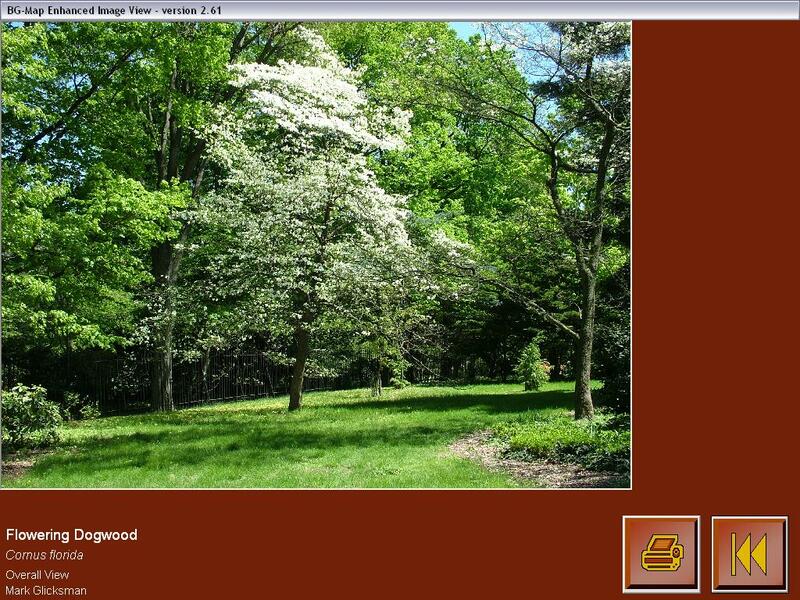 Visitors can type in a plant or memorial name - either common or scientific - using the on-screen touchable keyboard. Or, they can find a plant based on its location, habit, flower color, foliage color, flower month, deciduous or evergreen, sunlight requirements and special characteristics. Search results are displayed in clear, concise format, including thumbnail images if available. Visitors can view photographs and information about each plant, including range, phenology, hardiness, habit, and descriptive text. The information is extracted directly from BG-BASE and presented in an easy to read format. For convenience, the walking distance to the plant is listed. 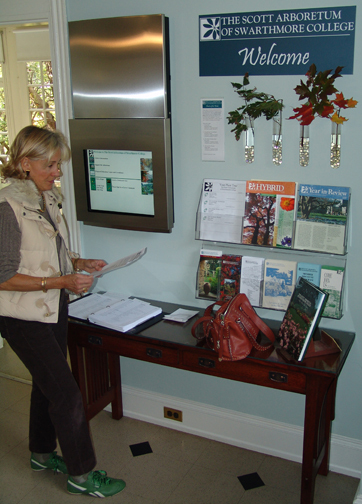 In addition visitors can print or e-mail the information and find nurseries that sell the plants they are interested in. An illustrated on-line botanical glossary helps explain botanical and horticultural terms. Visitors can select from images stored in BG-Map or BG-BASE. Photographs are displayed along with explanatory text. You can allow visitors to print photographs or disable this feature. With a single touch, your visitors can view, print or e-mail a map to guide them right to a selected plant. 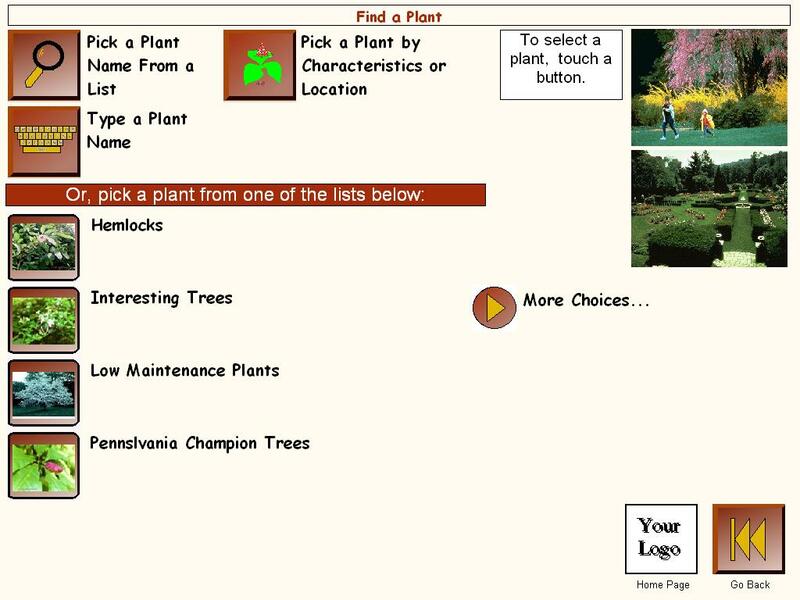 Or, they can select several plants to create their own plant tour with Create a Tour.